Juan M. Sempertegui emigrated from Bolivia to the U.S. when he was 10 years old and grew up in Langley Park, Maryland. His mother, Maria Sempertegui, was a Senior Cosmetologist, and his father, Roberto Sempertegui, is a retired upholsterer. He is the first person in his family to graduate from college and law school. Juan began his legal career as a law clerk for the Honorable Maurice A. Ross of the Superior Court of the District of Columbia and worked as a Litigation Associate with Carr Maloney P.C. He most recently served as the Director of Licensing for the State of Maryland’s Division of Financial Regulation. 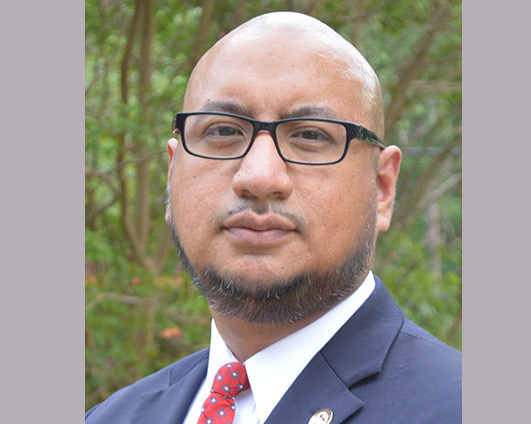 Before practicing law, Juan worked for nine years in the fields of accounting and finance for various entities including the Board of Governors of the Federal Reserve System. He has held leadership roles in community and bar organizations including as the 36th President of the Hispanic Bar Association of the District of Columbia, National VP of External Affairs for the Hispanic National Bar Association, Chair of the Latino/a Alumni Association of the Washington College of Law and as Board Member of Proyecto Salud Clinic. He is a recipient of numerous awards including the Leadership Award from the Maryland Hispanic Bar Association and the Edward Bou Alumni Award from the American University Washington College of Law. In 2017, Juan was recognized by El Tiempo Latino, a Spanish-language newspaper for DC, Maryland and Virginia, as one of 100 most influential individuals for the Latino community. Juan received an Honorable Discharge from the U.S. Marine Corps as a Non-Commissioned Officer, holds a Bachelors’ degree from the University of Maryland, an MBA from The Johns Hopkins University, and a JD from American University Washington College of Law. He resides in Silver Spring, Maryland with his wife and three daughters, all of whom were named after their abuelita Maria.